I love a free meal! 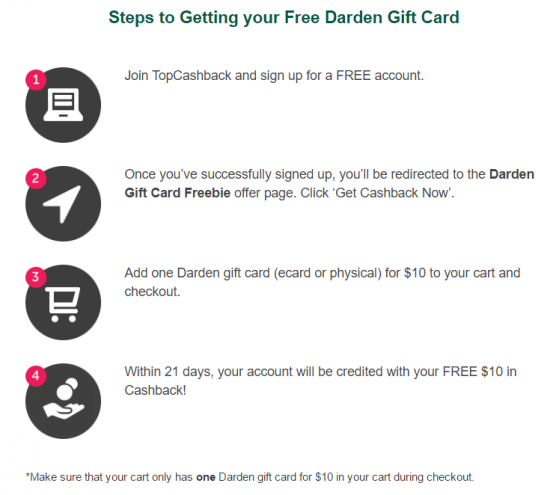 Today you can get $10 cash back when you buy a $10 Darden Gift card! You are only eligible if you are a new TopCashback Member. 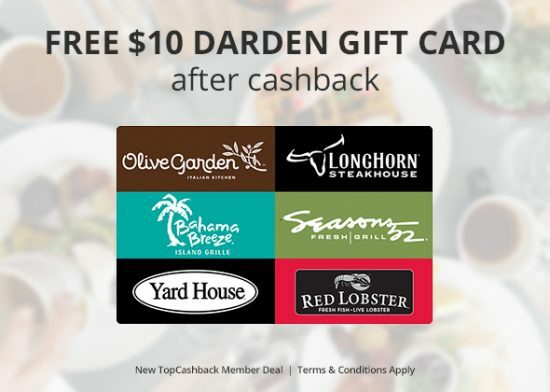 Don’t want the gift card for yourself? 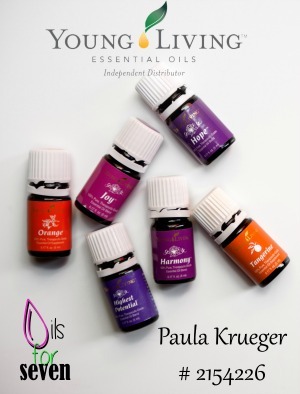 Save it to give as a birthday or Christmas present to someone! 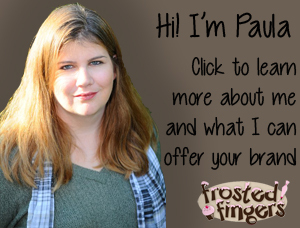 Click here to get your gift card!